Last Saturday, September 12, Engkwentro, the Philippine entry to the Venice Film Festival took home two awards: the Orrizonti Prize for Best Film in the new trends in cinema, and the Lion of the Future "Luigi De Laurentiis" Award for Debut Feature. Engkwentro is inspired by true gang-related events. It is a story of two brothers, Richard and Raymond, who find themselves in the opposite ends of gang wars. Richard is the leader of the Bagong Buwan gang, while his brother Raymond is an inductee of a rival gang, Batang Dilim. As though it weren't complicated enough, Raymond the inductee receives an order to kill his brother. The director, 22-year-old Pepe Diokno was cited for his bravery and honesty in tackling the film. 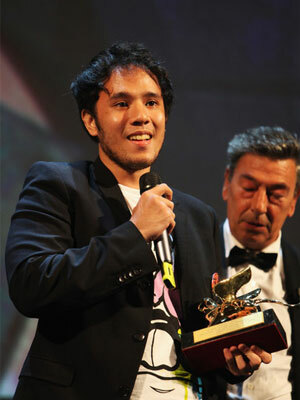 He is the youngest Filipino to Compete at Venice, and the only Filipino to win the De Laurentiis honor. Awesome news to start the three-day weekend. Congratulations!